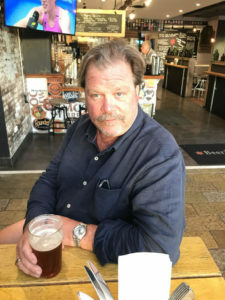 John “Rambo” Moulton was originally featured on Trade Talk last June in Chatting with Traders in Sydney: 4 Key Principles from John Moulton aka Rambo. We’ve circled back to get deeper into the “Rambo way” of trading. John evolved from trading at the Mid America Exchange, the original home of mini-futures contracts. The “Mid-Am” was a breeding ground for Chicago floor traders who didn’t have the capital to start trading at the larger Chicago Mercantile Exchange or Chicago Board of Trade. He moved to Sydney in 1987 and grew into one of the largest traders at the Sydney Futures Exchange (SFE), which is now part of the Australian Securities Exchange (ASX). Why did you decide to become a trader and what was your motivation? John: I made money at the University of Wisconsin working as a ticket scalper and playing poker. Through scalping tickets and playing cards, I learned how to read markets and how to read people. I knew that experience would transfer over very well to the Chicago financial markets. I moved to Chicago and got a job as a runner at the Chicago Board of Trade for $87 per week in 1977. In January 1979, I borrowed $12,000 from my mother. I used $10k for a Mid-Am seat and put $2,000 in a trading account. I never looked back. Trading was all I cared about. I fell in love with trading, nothing else mattered. The skills I learned from scalping tickets and playing cards helped me in my early days as a trader. You have to understand that trading was it for me. I didn’t like the weekends because there was nothing to trade. I wanted to be immersed in the markets at all times—100% all-in. You can’t let go of that focus. In my early days as a trader, I found it difficult to talk to regular people from society. How do you explain at a cocktail party to lawyers, doctors and mechanics about being a trader? No one else understands the difficulty of being a trader except other traders. One of the first stories you shared in your Chat With Traders interview involved the importance of knowing how to lose. How did you develop the discipline to accept and move on from losing trades? John: There are no courses you can take on this. It’s all experience. Today’s atmosphere, where everyone trades alone, doesn’t help. It was easier when I had other traders around to help me learn how to handle losses. You watched their behavior. You watched the big traders to see how they dealt with it. It’s a process. It takes time. Don’t beat yourself up. Losses are inevitable. The bottom line is you must learn. Feel the loss. Get over it and move on. You have to learn, but you can’t take it too seriously and education never stops. The other day, I placed some orders in IB, 30 Day Interbank Cash Rate futures contracts, and kept them working when I left the office. As I was driving, the Reserve Bank of Australia made a speech, and my orders were run over. Lesson learned? Don’t leave unsupervised trades. I’ve been in the game for a long time and still make stupid mistakes. You specialize in spread trading and started in the pits before the age of automated tools like Autospreader®. How did your trading style evolve? John: I started as a 1-lot scalper in soybeans and soon realized there was more than just the front month contracts to trade. This got me into spreading. I began by spreading front to back soybeans, and later soybeans to corn and other spreads among commodities contracts. I liked trading spread price relationships rather than directional trades. The singularity of direction I found too hard to predict. Relative performance made more sense. Determining if a commodity was going to go up or down was much more difficult than determining if the relationship and price differential between contracts was going to increase or decrease. Can you tell us about spread divergence, and can you give us an example of how you could apply that trade today? John: Spread divergence is all about relationships. Take the Australian Securities Exchange 3-year to 10-year curve trade. The curve usually moves directionally, up or down, with the market as a whole. Sometimes, however, the market can be making a new high without the spread making a new high. When that happens, I call that spread price divergence. The market is telling me that the spread has run out of steam and you can safely sell the spread. Especially if the market has had an extended run-up. I’m always trying to improve my trade. Trading is not static. It’s always evolving. This is why black boxes, over the long term, have difficulty. The dynamics of the market always evolve. The proudest thing I’ve ever done as a trader is make the evolutionary move from floor trader to screen trader. How has electronic trading changed the market? John: The SFE developed an electronic execution system, SYCOM, in ‘92. I started playing around with SYCOM almost immediately and could tell a big change was coming. Around ‘97, I changed my trading style when I realized that screens were the future. In ‘99, the SFE was fully electronic. One of the first exchanges in the world to do this. I started using X_TRADER® at this time. After I learned how to use X_TRADER, I found it very helpful. I was always proud of my record as a pit trader, but now, looking back, I could see that my first eight years as a screen trader were far more profitable than my last eight years as a pit trader. I can’t be sure why this is the case, but certainly, the tools of X_TRADER helped. Although X_TRADER is scheduled to be sunset, the advanced tools in X_TRADER can be found in the TT® platform—and with even greater performance and new features, including Options on TT and trade surveillance and compliance with TT Score.